Hylite Deck bag is manufactured from light weight laminate bag material that does not absorb water. 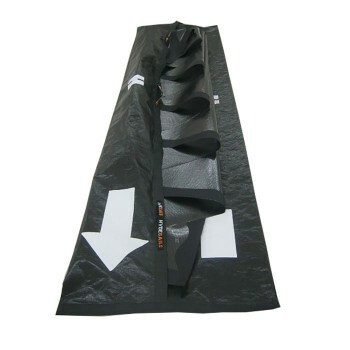 It benefits from mesh drainage in the bottom, tack end Velcro opening for easy head and tack attachment and an opening clew end so that sheets can be attached with the bag zipped up. 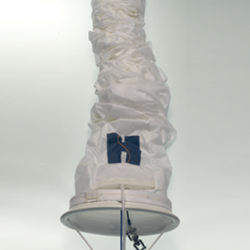 The sewn in sail tie at the tack end of the bag allows fast and easy bricking and tying of the bag. 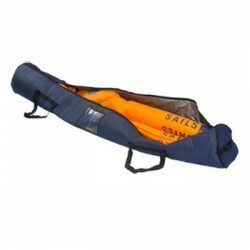 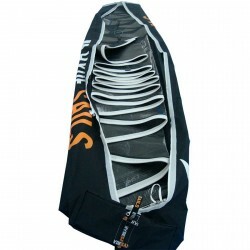 This is a light weight bag for racing sails that is easy and light to handling and helps reduce overall weight on board.